Jakelin Caal Maquin died of a bacterial infection known as streptococcal sepsis, according to the autopsy report of the medical examination in El Paso County, Texas. The report says streptococcal bacteria were found in the girl's lungs, adrenal glands, liver and spleen. It continues to say that the infection was "rapidly progressive", leading to "multiple organ dysfunction and death." 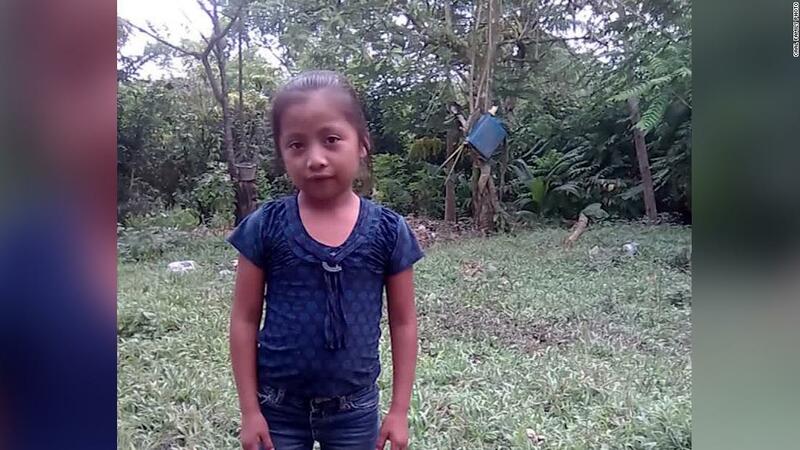 Jakelin died in December two days after she and her father, Nery Gilberto Caal, 29, were detained by the US Customs and Border Protection. Lynn Coyle's law offices representing Jakelin's family released a statement that it will continue to ask for an independent investigation into her death. 9659005] The autopsy does not indicate how or when Jakelin got the infection. CNN reached CBP for comment and received a press release on the young girl's death in December, when CBP agents and emergency workers said "did everything in their power" to deal with Jakelin, including Border Patrol agents twice reviving the girl before being taken by air ambulance to a hospital. "The agents involved are deeply affected and empathy with the father over the loss of his daughter," the release read. Jakelin's family says she fled the country with her father in search of a better life. She survived the 2,000-mile journey from northern Guatemala before being detained. Family lawyers said Caal and his daughter were seeking asylum in the United States. Jakelin's father asked for a credible interview of fear – the first step in seeking asylum, Coyle said. According to CBP, Jakelin and her father illegally crossed about half a mile west of the Antelope Wells gate in New Mexico. They were detained along with 163 other migrants on December 6. Family lawyers say Jakelin and her father did not get water during the eight hours they were arrested at Antelope Wells and were waiting to be taken to a border patrol station. However, CBP says immigrants "had access to food, water and toilets" while being detained and awaiting transfer. CBP says an initial health screening at Jakelin "revealed no signs of health problems" and that her father reported that she was "in good health", the agency said in a statement. The agency said Jakelin's father first reported the girl's illness and vomiting as they were already on the bus but before the bus left. But lawyers for the family say they sought relief from the first border patrols they encountered near Antelope Wells. Lawyer Enrique Moreno said Jakelin's father reported that she was sick and vomited. During a 90-minute bus ride from Antelope Wells to Lordsburg Border Patrol Station, her health deteriorated. CBP said Jakelin was revived twice when emergency workers used to take her to Lordsburg station. Her temperature at the time the agency said was 105.7 degrees. She was flown to Providence Children's Hospital in El Paso and died the next day. 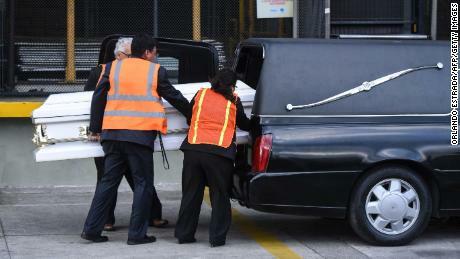 Jakelin's body was repatriated to Guatemala in December after being transported by air from Laredo, Texas. Her remains were transported to the native community of Raxruha, where she was from. CNN's Hollie Silverman, Emanuella Grinberg and Michelle Mendoza contributed to this report.